Our fine arts gallery showcases arts of the American West, especially classic Twentieth Century Desert and California landscape paintings, many featuring the Coachella Valley; fine arts by and of Native Americans; and other fine arts with equestrian & equine themes. We are honored to be the United States representatives of internationally celebrated Australian artist, Margaret Waterhouse, showing her equine and American wildlife paintings. 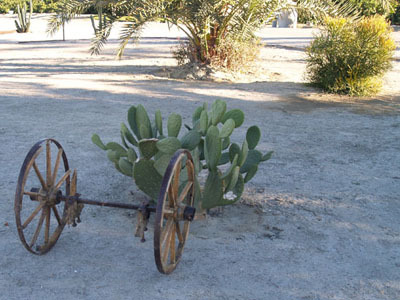 Rancho Ellenita was established by R. V. & Hazel U. Lloyd in 1950. 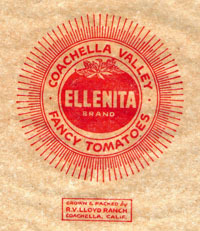 Originally it was known as the R. V. Lloyd Ranch producing Ellenita Brand vegetables and fruits. Today, it has been renamed Rancho Ellenita and is run by the Lloyd-Trover Partnership, Ellen Lloyd Trover and Florence Trover. The ranch is in transition from row crops to Mediterranean tree crops, Medjul dates, Black Mission & Brown Turkey figs, and Persian Sweet limes. 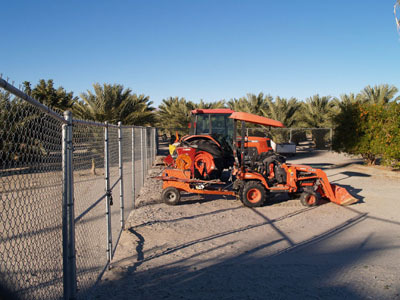 Located in the beautiful Coachella Valley southeast of Palm Springs, the ranch is located on the northeast corner of Ave. 54 and Monroe Street in Vista Santa Rosa, south of the Empire and El Dorado Polo grounds. The entrance to the Gallery is located at 82-150 Avenue 54. Ellen Lloyd Trover is the Lloyd in the partnership, the second generation at Rancho Ellenita. 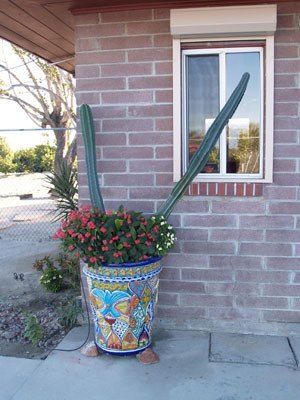 A graduate of Vassar College and The Marshall-Wythe School of Law at the College of William & Mary, who also attended the Sorbonne, Ellen has "retired" from the active practice to run Rancho Ellenita and the Gallery. She is also proud to be the State Senate appointee to the Coachella Valley Mountains Conservancy, a Director in the Riverside County Farm Bureau, and to serve on several County committees. Florence Trover is the Trover in the partnership, the third generation of the family. Also a graduate of Vassar College, who has done graduate study in mixed media at Napier University in Edinburgh, Florence is an independent web page designer and graphic artist as well as a general partner in Rancho Ellenita and the Gallery.